As the holiday seasons come, our pressure is on. We have to think about what kind of gift we should prepare to whom. Its’ fun but at the same time, it takes so much energy out of us. 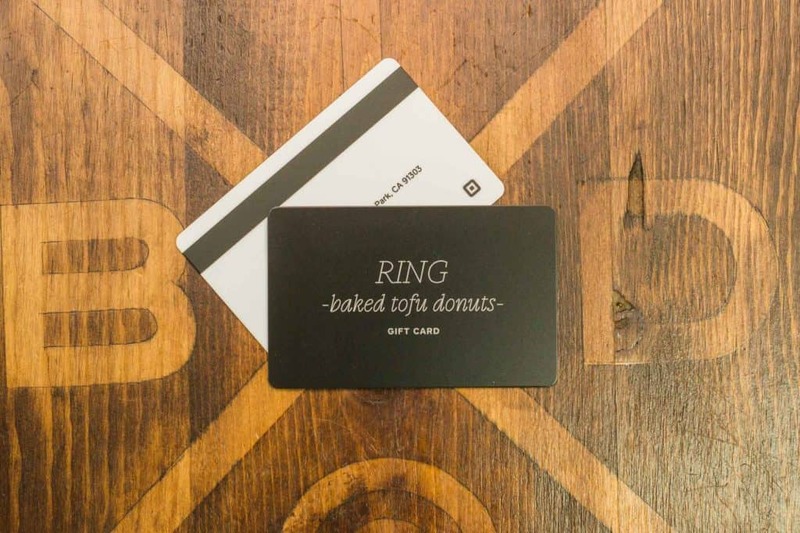 If you like our signature baked tofu donuts, you can give your friends and families Ring’s gift card. Do you have any health-conscious friends who like tofu, or someone went to a complete vegan? 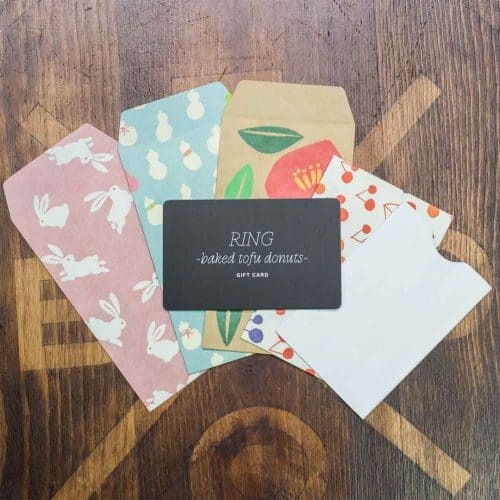 Ring have got you covered. Our unique baked TOFU donuts are a great conversation starter at your party. And, now you can give the guests the gift card too. We have these beautiful gift envelopes you can choose from. Call (323-963-3881) or visit us to get your holiday gift shopping started.